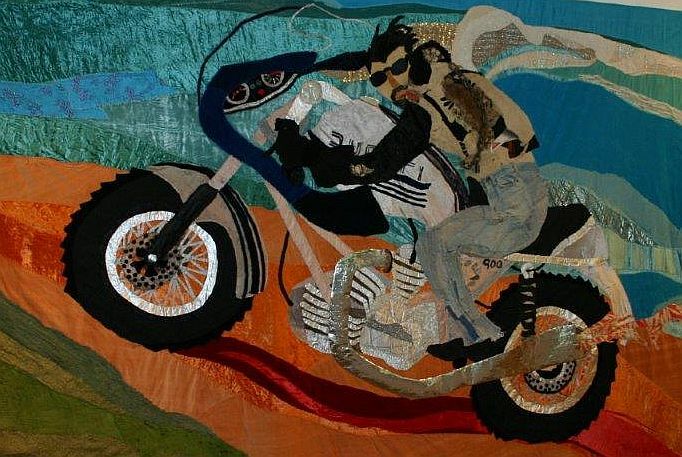 Learn to felt with Kirrily Urquhart from Kokoro Expressions in a series of four workshops – enrol in one workshop or enrol in all four! If you have never felted before, it is recommended that you come to the first workshop to gain a better understanding of the technique before attempting any other workshops. Read the overview, then scroll down to see course descriptions for each session. Make your own woollen fabric using the ancient technique of felting. It’s a great way to unleash your creativity! In a series of workshops, have lots of fun learning four different techniques and pick up some tips on colour and design along the way. You may choose to do one workshop or all four. If you have never felted before, it is recommended that you come to the first workshop to gain a better understanding of the technique before attempting any other workshops. All prices include the basic materials needed to create your felted pieces. A selection of other materials will also be available at an additional cost for those wishing to enhance their designs further. As felting is a wet process, bring along a couple of bath towels to help soak up the water. You may also find it beneficial to bring some rubber gloves as we use hot water for most processes. 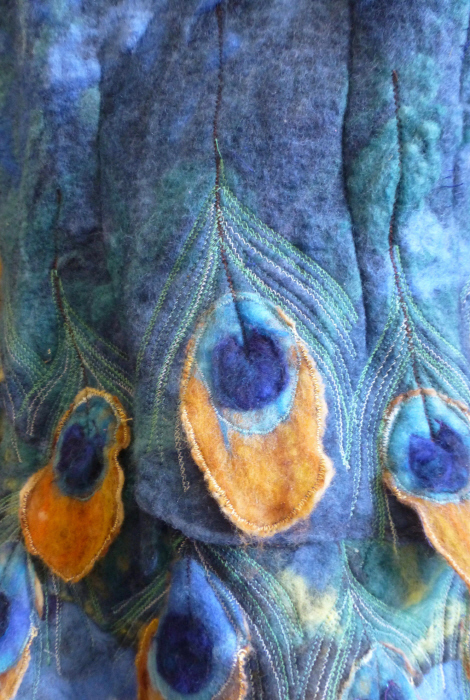 For those of you who have never felted before, this is a great introductory workshop. Learn the basic technique and create 2 small flat designs. Experiment with the different effects that can be achieved in creating your composition. Build on your felting skills by creating a pouch without having to sew a stitch! We will use a ‘resist’ to create a pocket between two felted layers with decoration on one or both sides. You may choose to create a small bag or clutch style purse. We extend the ‘pouch method’ to create a three dimensional vessel. In addition, we look at other ways to make 3D sculptural forms, including solid shapes. “Nuno Felting” is felting with sheer fabrics. Using fabric enables you to achieve a finer piece that can be draped and used in clothing. Create a beautiful scarf or unique table runner or wall hanging.